ARM designed the Cortex-M4 architecture in a way it is possible to have a FPU added. For example the NXP ARM Cortex-M4 on the FRDM-K64F board has a FPU present. The question is: how long will that function need to perform the operations? which is to load a 32bit value, then perform a floating point multiplication, followed by a floating point division and floating point subtraction, then store the result back in the result array. 0x4b9d or 19’357 CPU cycles for the whole loop. Measuring only one iteration of the loop takes 0x12f or 303 cycles. One might wonder why it takes such a long time, as we do have a FPU? This actually shows that it does not use the FPU, but instead uses software floating point operations from the standard library? The thing is that a constant as ‘3.3’ in C is of type *double*. As such, the operation will first convert the uint32_t to a double, and then perform the multiplication as double operation. Same for the subtraction with the float variable: because the left operation result is double, it has to be performed as double operation. But why is this done in software and not in hardware, as we have a FPU? The answer is that the ARM Cortex-M4F has only a *single precision* (float) FPU, and not a double precision (double) FPU. As such it only can do float operations in hardware but not for double type. So now it is using single precision instructions of the FPU :-). Which only takes 0x30 (48) cycles for a single iteration or 0xc5a (3162) for the whole thing: 6 times faster :-). Using float or double is not bad per se: it all depends on how it is used and if they are really necessary. Using fixed-point arithmetic is not without issues, and standard sin/cos functions use double, so you don’t want to re-invent the wheel. That way, normal integer operations can be used. -fsingle-precision-constant causes floating-point constants to be loaded in single precision even when this is not exact. This avoids promoting operations on single precision variables to double precision like in x + 1.0/3.0. Note that this also uses single precision constants in operations on double precision variables. This can improve performance due to less memory traffic. I recommend not to use any float and double data types if not necessary. And if you have a FPU, pay attention if it is only a single precision FPU or if the hardware supports both single and double precision FPU. If having a single precision FPU only, using the ‘f’ suffix for constants and casting things to (float) can make a big difference. But keep in mind that float and double have different precision, so this might not solve every problem. This entry was posted in ARM, Building, Cortex, CPU's, Debugging, Eclipse, Embedded, FRDM-K64F120M, FreeRTOS, gcc, i.Mx, Kinetis, LPC, LPC, MCUXpresso, MCUXpresso IDE, NXP, S32, Thoughts, Tips & Tricks and tagged ARM, arm gcc, Assembly, Building, Debugging, Eclipse, FRDM-K64F, MCUXpresso, NXP, software, Tips&Tricks by Erich Styger. Bookmark the permalink. I reported this when I reviewed the M4 way back on the old NXP discussion board. I was a “Forum Expert” at the time (paid consultant to NXP). May need the Wayback Machine to find that post. There was also a surprise interview with me about that. It was a surprise because the interviewer told me he was doing it later and then recorded us just chatting (with me not prepared yet and not knowing it was being recorded). My current fun and games has been with the LPC844. It would be a nice part if the documentation and header files matched the actual chip. I also found what appears to be hardware bugs in both the SCT and USART. Such is the life of an embedded programmer on a tight schedule. the -fsingle-precision-constant flag indeed is very useful. And yes, in some cases using float and double is completely fine if knowing what it takes to execute things. I agree that a full fixed point library is not an option in all cases. But using double for a sensor value which might have up to 3 digits after the dot is an overkill, as an integer data type might be used instead. the solution example looks like this in both Firefox and Brave browsers. Yeah chrome is messed up too. I can’t agree with you recommending not to use floating point arithmetics at all. Sure, there are many cases where floats should be optimized out for real-time computing. But most code (regarding LOC-count) has non-critical time constraints, even for embedded sw. This means that unconditionally eliminating floats where possible is a typical case of premature optimization. Still a very useful example of float-limitations! There are cases where indeed float and double have to be used, e.g. because the math libraries are using them. I recommend to avoid using them if possible if there are better alternatives. I see using float and double data types for things like sensor values where using an integer data type would be a better option imho. I like the suggestion by Ian C to use the -Wunsuffixed-float-constants switch. However, is there a switch for the compiler that will force floating-point operations to be done by default in single precision (vs double)? The HCS08 (and HCS12) compiler had such an option to sepecify the type size of float/double. I’m not aware of such a thing for gcc. The other issue here is that if HW floats are enabled, even for a single usage, then ALL push/pop stack operations will take considerably longer across the entire runtime as the register stack to be saved is considerably larger. Yes, thanks for that reminder, I missed that point. The M4 can do some ‘lacy stacking’ which helps in some cases. But still, it means more work for the CPU to do a context switch because of the extra registers to save. I have now extended the article with an extra section about this, thank you! Thank you for all of the excellent work. My Forth knowledge and usage are very, very minimal. I never was a fan of that language, but I know it is still in use in many older applications. Shouldn’t you be using *(3.3f/4096.f) to get rid of the division (moving it to compile time)? Yes, in that case the compiler can do ‘constant folding’, and this is usually how things should be written. Due the nature of floating point numbers, the result might not be the same due rounding issues, but that’s yet another danger zone using floating point numbers. 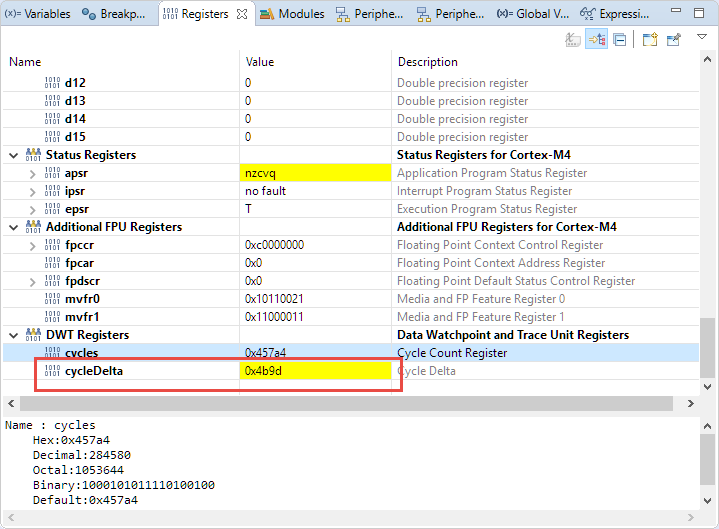 If floats are needed it is also easy to check the code in visual studio and quickly look at it in disassembled form. and this is immediately reflected in the PC’s subsequent disassembled code. since it may remove the (potentially high overhead) vdiv in the loop, and/or ensure optimisation is high to avoid that such calculations that need to be done just once are not “repeated” in the loop. And yes I agree to avoiding float/double in embedded systems whenever possible – but when absolutely needed then THINK carefully about how the calculation will be performed (based on the known C rules) and keep it well under your control to avoid inefficiencies. good hint about using the Visual Studio for this. And using a table instead of calculating data is always a good option for me, especially if the table can be stored in read-only memory and can be rather small. … and then carefully use mylib_float_t throughout. That way, if I ever switch to an architecture that uses native doubles, I only need to change on line of code. 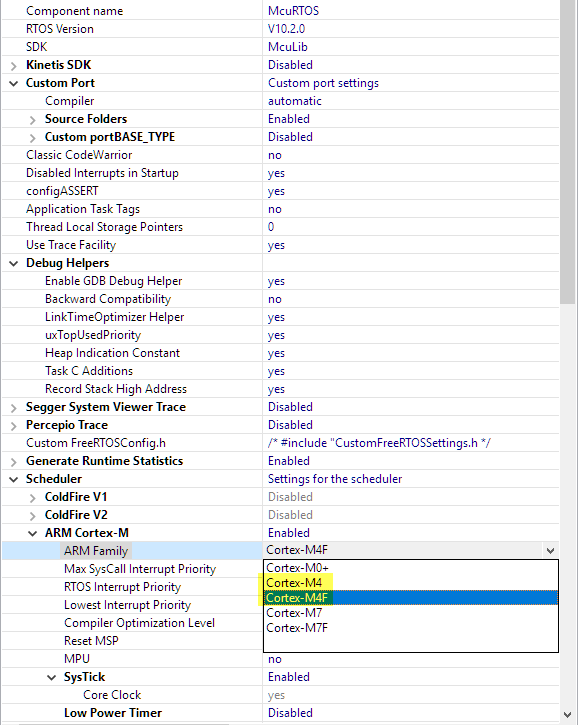 The HCS08 (and HCS12) compiler had an option to specify if float/doubles are allowed in the code, and options to set float and/or double to either 32bit or 64bit. I like your approach to use a typedef for floating point data types. Similar as using int32_t instead of plain ‘int’. I guess this is all about making benchmark look better with less code size. ARM Cortex offerings made double-precision FPU an option (maybe not M0, don’t remember), which IIRC none of the early adopters took (too much power & space). Some more recent chips have double precision, for example ST32F M7 and H7 series. So for those of us the sometimes really need double a few options exist. 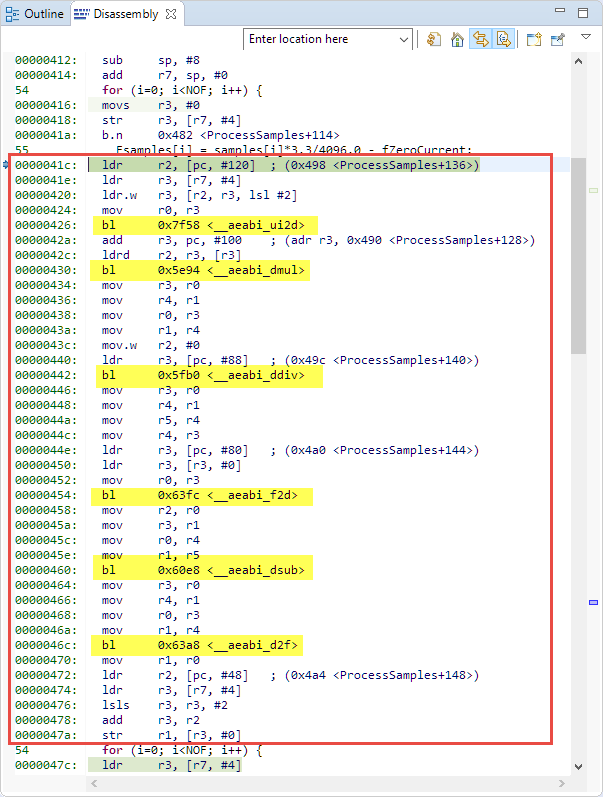 IIRC PIC32 series had double FPU from the beginning (MIPS cores). To my knowledge: M3 did not had FPU. M0: no FPU at all for cost/die size reasons. M4 had the option to have single precision FPU added by vendor, so it is an option. M7 has single and double precision FPU by default (I believe it is not possible to remove it by the silicon vendor). If I hover over the either one of the constants, they show as “double” in the debugger. On the other hand, If I use the “f” suffix, it works as expected and those constants show as “float”. I know the compilier flag is doing something because I run into some issues in another unrelated part of my code, but it doesn’t seem to do what it’s supposed to do, or I’m not using the right method to confirm. If you hover over the constant in the source code, then the debugger will take that *text* as an expression. 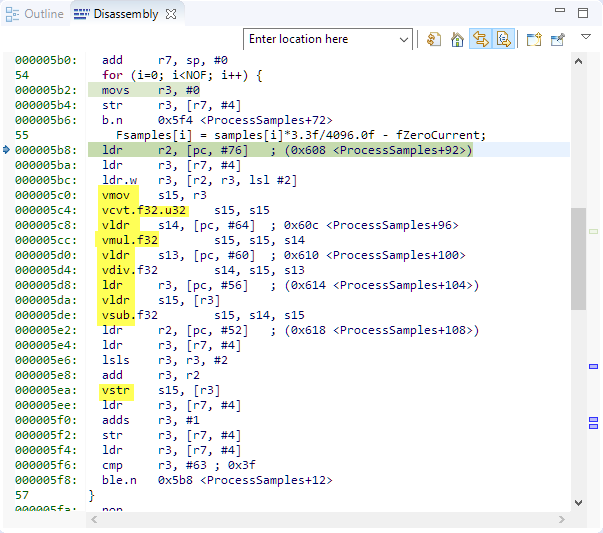 And 10.0 or 233.0 is taken as a double value (for the debugger expression). This has nothing to do what the compiler sees as type. It is the same as you would type ‘10.0’ in the debugger expression window, and the debugger expression parser will take this as double. And it will take 10.0f as float. I hope I’m able to express myself, but the thing is that the debugger expression parser is not the same as what the comiler does.